Plans have been announced for a new state-of-the-art training centre in Winsford for Cheshire Fire and Rescue Service. The ambition is to build a ground-breaking firefighter training centre that is fit for the future which will immerse firefighters in real-life operational situations making them better equipped and skilled to keep the communities of Cheshire and surrounding areas safer. Firefighters in Cheshire have to be able to deal with a wide range of incidents as county has a large number of chemical and industrial risks, four major motorway networks, spanning the length and breadth of the county and great swathes of rural areas which present a host of operational hazards and risks. The new training facility will provide innovative technology and real life scenario sets, ranging from serious motorway collisions to dealing with building fires and chemical incidents, keeping our firefighters highly skilled and equipped to deal with a myriad of life saving situations. Cheshire Fire Authority approved the £11million project after consultation with Cheshire Fire and Rescue Service staff and they are expected to be submitted this month. Work on the site could begin in March 2019 once the planning application is approved. 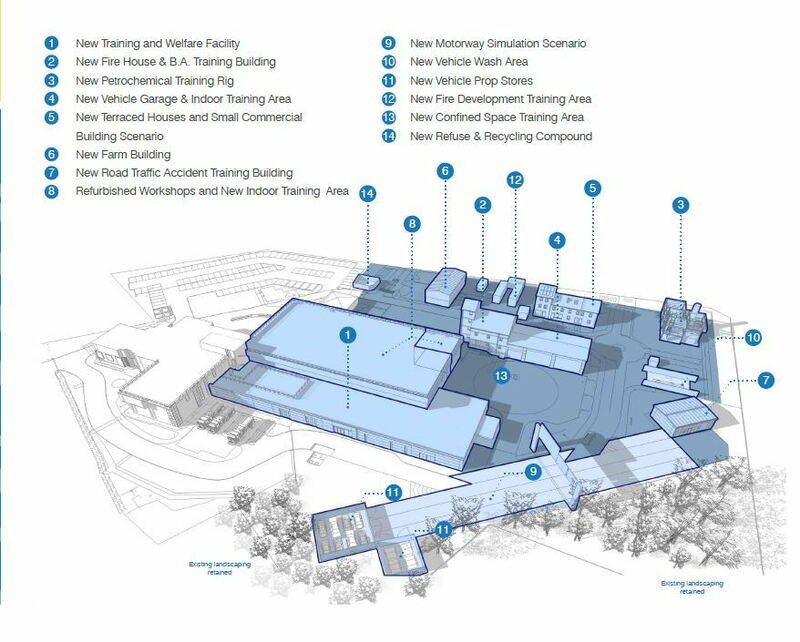 You can view the plans by visiting http://www.cheshirefire.gov.uk/news-events/latest-news/new-firefighter-training-centre-planned-for-winsford.